imabargainhunter has no other items for sale. 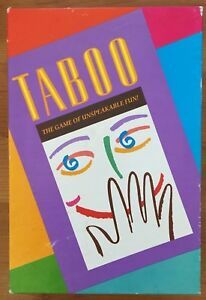 Details about Taboo - The Game of Unspeakable Fun - Excellent Condition. Taboo - The Game of Unspeakable Fun - Excellent Condition. Immediate payment of AU $14.44 is required.